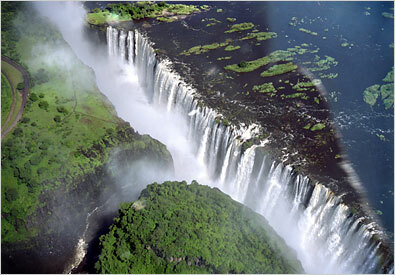 During the Zambezi River’s annual flood season, February to May, the Victoria Falls is a jaw-dropping sight. Columns of spray can be seen up to 10 miles away as 550 million cubic metres of water plummet over the 1080 meter wide edge every 60 seconds, into a gorge over 100 meters below. One of the best ways of seeing the spectacular World Heritage site is from above. Guest staying at Sanctuary Sussi & Chuma have the option of seeing the falls from a helicopter or micro light (at an additional cost). Type: 1 exclusive upmarket lodge and 2 spacious two bedroom houses. Fresh from an extensive refurbishment and in supreme condition, Sussi & Chuma lodge is named after David Livingstone’s faithful companions, Sussi and Chuma. The lodge consists of 12 beautiful tree houses and two spacious two bedroom private houses, both of which take full advantage of their stunning river-bank setting. Each of the 12 suites have a private viewing deck with en-suite facilities with air-conditioning, overhead fans, mosquito nets. The two bedroom houses are perfect for private use, ideal for families or small groups they are privately staffed and each with a private swimming pool. Resident wildlife, such as hippopotamus and elephant, are likely to wander through the grounds at any time. Guests may enjoy a wide variety of activities – day and night game drives, a guided tour of the Victoria Falls from the Zambian Side, cultural Simonga village visit.